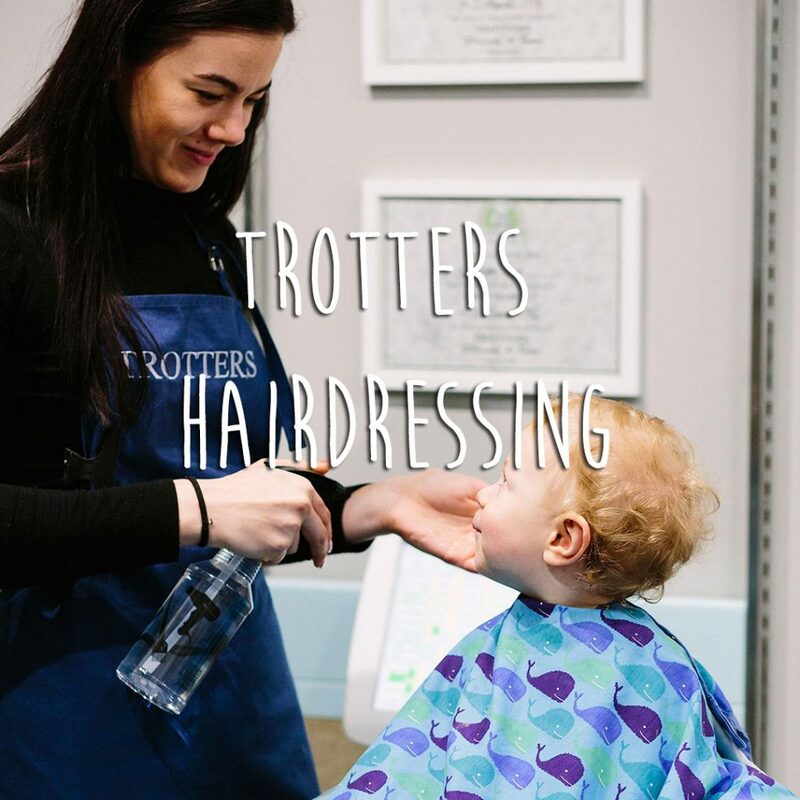 Trotters are famous for their children’s hairdressing facilities across all six stores, from the Kings Road to Guildford in Surrey. It has been an important service to them since they first opened their doors in 1990. 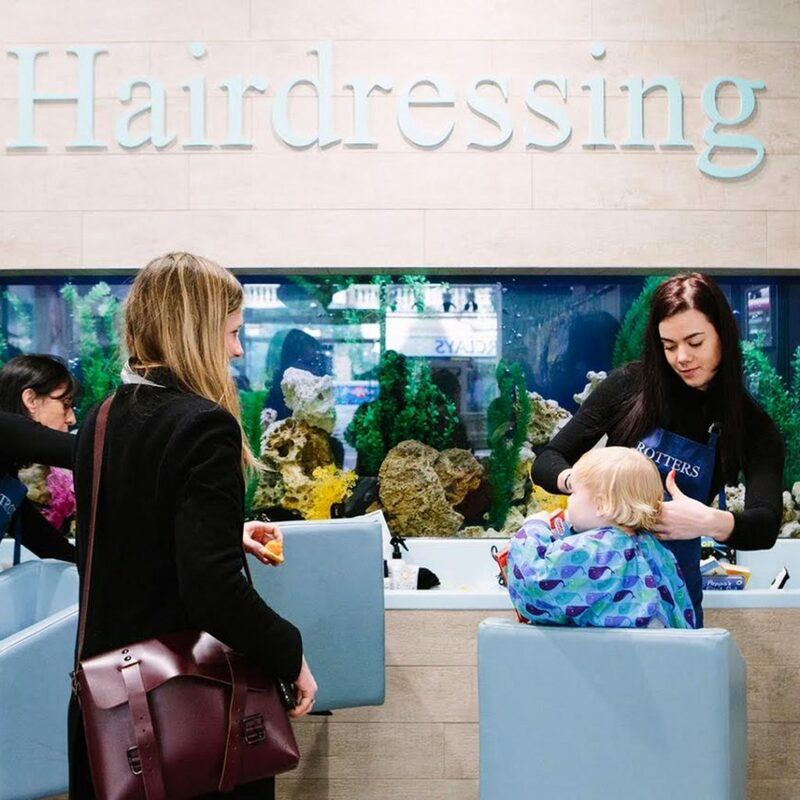 The hairdressers is situated next to their much-loved giant aquarium, keeping children occupied and entertained, their aquariums are famous for being both relaxing and interesting for children to watch the tropical fish and a great talking point too. All their hairdressers are highly qualified and experienced in cutting children’s hair. Rather than washing children’s hair they will spray with water or detangler. The detangler and all other styling products are all from the Original Little Sprout range which is natural and contains absolutely no sulphates, parabens or any other nasty chemicals. Bookings can be made online here or by calling the shop. After their haircut every child is offered a special ‘Dunwoody’ chocolate coin and sticker and children who visit Trotters for their first ever haircut receive the renowned ‘Certificate of Bravery’ with a lock of their hair attached. You can visit them at the Kings Road, Kensington High Street, Westfield, Northcote Road, Turnham Green and Guildford.